Mark your calendar for the WAHI Fall 2019 Education House and Training Seminar in the WI Dells...Friday, November 8th and Saturday, November 9th! Details to come! The Wisconsin Association of Home Inspectors (WAHI) is a voluntary, not for profit, professional association dedicated to promoting and developing the home inspection industry within the State of Wisconsin. Even the most experienced homeowners benefit from the knowledge and expertise of a professional WAHI home inspector. A WAHI home inspector is familiar with the many elements of home construction, including the proper installation and maintenance. They understand how a home's systems and components are intended to function, as well as how and why they fail. A home inspection is an objective visual examination of the physical structure and systems of a home, from the roof to the foundation. Having a home inspected is like giving a physical checkup. If problems or symptoms are found the WAHI home inspector may recommend additional professional evaluations. Above all, buyers often find it difficult to be completely objective and unemotional about the house they are purchasing, and this may affect their judgment. It is best to obtain an impartial third-party opinion by an expert in the home inspection business that is a WAHI member. The WAHI Education Committee puts forth great effort to provide the very best in continuing education at our biannual seminars (spring and fall) and monthly Chapter meetings (5 around the state). Secretary David Ross of the Department of Safety and Professional Services (DSPS), the governing agency in Wisconsin for the home inspection industry, has recognized WAHI as a leader in the arena of education providers for home inspectors in the State. All of our course offerings include continuing education credit which is accepted by the State of Wisconsin and the American Society of Home Inspectors. In March of 2016 we held our 2-day Education House and Training Seminar in Milwaukee. Our Education House is an all-day, hands-on training event held in an area home. 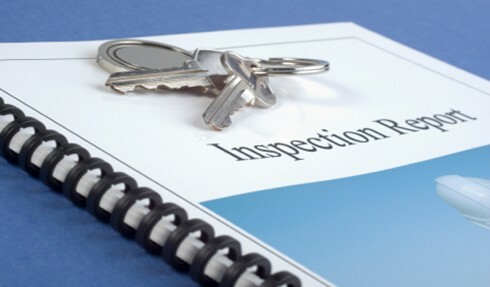 In the morning, we offer home inspectors from around the state an opportunity to inspect the home and present their findings to a peer review panel. This is an outstanding program for home inspectors to “test” themselves to make sure they are addressing the State Standards of Practice when working with their customers. In the afternoon, we position an array of experts in various locations throughout the home and attendees do circuit training of those areas. The Training Seminar is an all-day classroom event consisting of 3-4 National and local speakers covering a variety of topics, all pertaining to the home inspection industry. In addition to the training, we have many exhibitors sharing information on their products and services. What you will see in the video below is a demonstration of a chimney fire conducted at our Spring 2016 Education House in Oak Creek, WI. This demo was performed with the advance permission of the Oak Creek Fire Department. The fuel used to coat the flue tiles is an accurate representation of real soot with similar fuel burning characteristics. In addition to the intense flames that are visible and the resulting flue tile damage, note how quickly the fire moves up the flue. What we hope you take away from this video is the understanding of how easy it is to have flue tile damage after a chimney fire, as well as, the importance of fireplace and chimney maintenance.